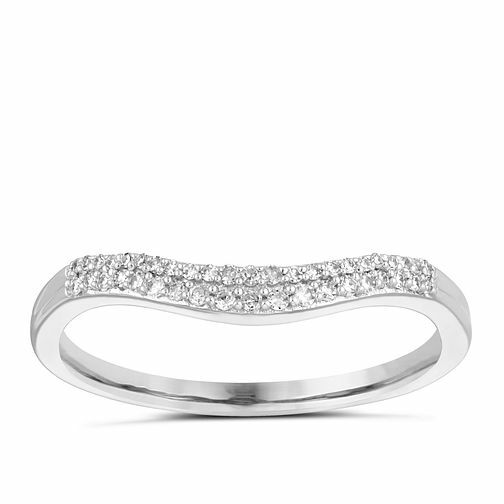 Stack your engagement ring with this beautiful wishbone wedding ring, marked with a double row of diamonds and made in 9ct White Gold for a uniquely opulent treasure. 9ct White Gold 0.10ct Double Row Diamond Wedding Ring is rated 5.0 out of 5 by 1. Rated 5 out of 5 by Anonymous from Beautiful and Sparkly Love it! Great fit and in store service was amazing, ordered my size in and it was available within the week.